This three bedroom, two full bath home is the best of both worlds, the charm of the 1930's but in the 21st century all while sitting on a corner lot. The large open floor plan make entertaining for family gatherings a breeze. Master suite has a full tilted tub/shower combo. Fully fenced back yard is the perfect place for the kiddos and pets to play. Relax on your cozy front porch with the morning coffee. Summer is just around the corner, you can be moved in and ready to watch the famous Martinsville fireworks from your very own backyard, or take the short walk to the park for an up close view. 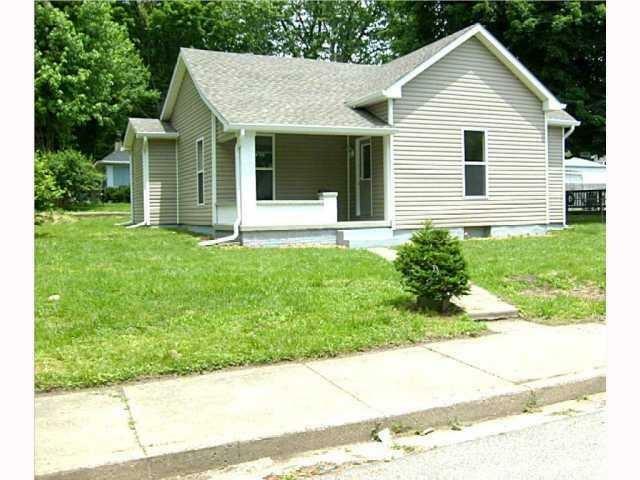 With easy and quick commutes to downtown Indianapolis and Bloomington this is the perfect home for you!